Do You LOVE LuLaRoe? 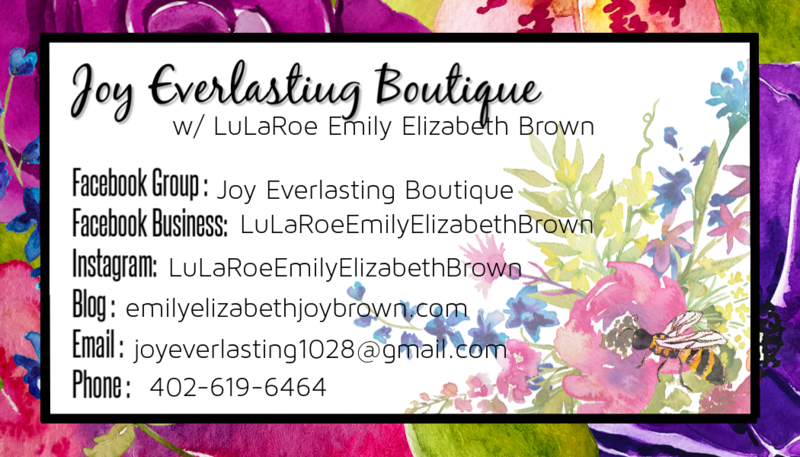 Hop on over to my facebook group to do a little shopping and get daily encouragement! I go LIVE every Tuesday, Wednesday, and Thursday with plenty more opportunities to shop throughout the week. Click the business card to go to my FB Page!